Synopsis: A large number of poisonous plants have beneficial uses in both domestic medicine and magic. Needless to say, when utilising a toxic plant in magic, we are adding certain extra deadly or potent energies into the mix and it is inadvisable to start messing about with deadly poisons unless we've made a thorough study of the subject - and not just by glancing at a paragraph in a book on herbal preparations! 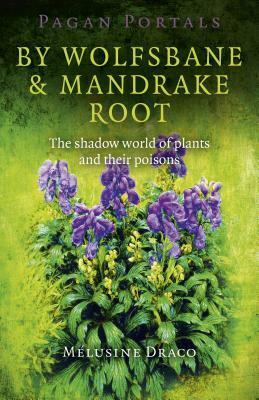 Review: A very powerful book on not just poisonous plants, but how they can affect our lives, especially when used in magic. Whether used with good intentions or bad, ingested or in magic spells, poisonous plants are powerful and not to be trifled with. This book is an amazing study on the subject with advice on safely and wisely using poisonous plants. About the Author: Mélusine Draco originally trained in the magical arts of traditional British Old Craft with Bob and Mériém Clay-Egerton. She has been a magical and spiritual instructor for over 20 years with Coven of the Scales and the Temple of Khem, and writer of numerous popular books including Liber Agyptius: the Book of Egyptian Magic; The Egyptian Book of Days; The Egyptian Book of Nights; The Thelemic Handbook; The Hollow Tree, an elementary guide to the Qabalah; A Witch's Treasury of the Countryside; Root & Branch: British Magical Tree Lore and Starchild: a rediscovery of stellar wisdom. Her highly individualistic teaching methods and writing draws on ancient sources supported by academic texts and current archaeological findings. She now lives in Ireland near the Galtee Mountains and has several titles currently published with John Hunt Publishing including the Traditional Witchcraft series.